Great service received in the purchase of my order. Was informed by email on every step. arrived wel.. Ordered my pinpointed was delivered within 48 hrs well packed and very fast delivery no messing abou.. 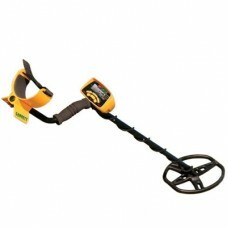 The Garrett EuroAce metal detector is designed specifically for coping with the tough conditions of Europe and the UK. Users who have enjoyed the power and performance of an ACE 250 will certainly be interested in the new technology offered by Garrett’s new EuroACE. This detector provides powerful new search advantages for coin and jewelry hunters, prospectors and relic hunters. Powerful, large 28 x 22 cm PROformance Double-D searchcoil. This DD configuration coil provides greater detection depth and performance by significantly reducing the negative effects of heavily mineralized ground and saltwater interference. Garrett’s blunted tip and tail design further extends the coil’s search area and offers improved searching along obstacles. Enhanced Iron Resolution™—Coin and relic hunters will appreciate the more precise control over how much iron discrimination to apply. This feature is used to help separate good treasure targets from adjacent iron trash. Improved Audio—Tone ID optimized to indicate distinctions between ferrous and non-ferrous targets. Volume-control headphones—Garrett’s ClearSound Easy Stow headphones are included. Graphic target ID cursor with 12 element GTA notch discrimination for much greater accuracy. Advanced LCD graphic screen for a quick and easy identification of the target.